Eident: Good morning, Heather. So, these changes were announced last week at a closed-door meeting, but some details have leaked, including new wording in NOAA's mission statement. Can we talk about that? Goldstone: Yes, so what happened was that there was a Department of Commerce vision-setting strategic meeting. 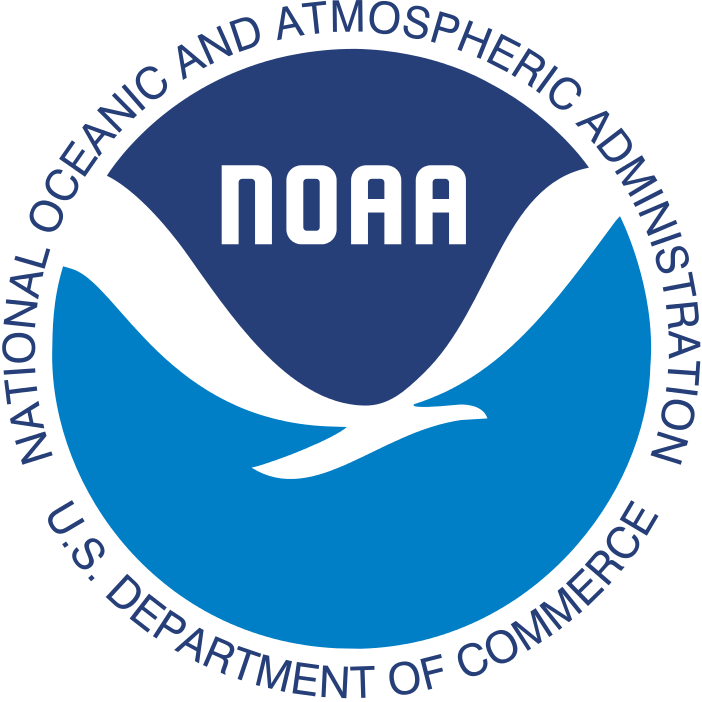 And of course, NOAA is part of the Department of Commerce and the acting director of NOAA presented what could be NOAA's contributions to that. The presentation that he made was leaked to the Union of Concerned Scientists and to certain media outlets, including us. That new mission statement, if you will, was actually presented in the first part of the presentation as the 'current' mission statement, with what is still on the website, and what has been the mission statement as the 'past mission' statement. One of the changes that's gotten a lot of attention this week is the fact that the word "climate" was dropped from the part of the mission statement that deals mostly with research. Perhaps the bigger change is actually in the end of the mission statement where that has said to, "conserve and manage coastal and marine ecosystems and resources" and the new version of that says, "to protect lives and property, empower the economy, and support homeland and national security." So, it's a pretty dramatic change in what the goals of the organization would be. The acting director has since issued a statement saying that this was not intended to exclude NOAA's important climate and conservation efforts, which are "essential for protecting lives and the environment," and that this should not be considered a final proposal-- that it was just kind of throwing some ideas out there. But, it has definitely grabbed people's attention. Eident: Sounds like it could definitely influence decision making down the line. Goldstone: Yes, absolutely. And in fact that's what the rest of the presentation had to do with was: How you would kind of take this new vision and implement that in terms of strategies and goals for the coming year? And, there were some some pretty interesting ones in there. Things like: tripling aquaculture production in the next 10 years. They set a goal of 50 deregulatory actions in the next 30 days. Whether that's cumulative or are all new, we don't know, this is just a PowerPoint presentation that we're going from. Also, improving weather forecasting and actually one of the bullet points is "develop the best weather model in the world." So, definitely some rearrangements and some interesting hints in there that we're going to be digging into more. Eident: Yeah. So it's kind of like a mixed bag. Boosting aquaculture sounds like there could be some direct benefits to the Cape, Islands and SouthCoast. You can also hear a little bit of wording that sounds like the Trump Administration-- which could be good or bad--we don't know yet. Goldstone: Absolutely we don't know what the end result of these are. Like I said, this is mostly just hints because we're just going on this leaked PowerPoint presentation right now. But certainly, increasing aquaculture production is something that NOAA has been working toward over the past few years. Developing better weather forecasting, of course, is going to benefit everybody. The oncern is if that comes at the expense of things like wild caught fishery regulation and sustainability, or at the expense of longer term climate research-- if we're just focusing on short term weather forecasting. Eident: And, it will be interesting to see what kinds of regulations are thrown out whether they're little ones that kind of do cause things to bog down, or whether they're big sweeping things. Goldstone: And in fact, in the aquaculture realm, there's been a lot of push in the past few years to say, "we need to streamline this," that there's too much disconnect between local, state, and federal regulations when it comes to aquaculture and we need to streamline. On the other hand, there was actually a bit of confusion and chaos caused very early in the Trump Administration, with regard to deregulation, when there was a rule put in place that if you wanted to create a new regulation, you had to eliminate two. In the fisheries realm that created a lot of concern. Does that mean that authorizing new fisheries plan is a regulatory action where we have to remove others? That didn't turn out to be the case. But, the deregulatory actions as you said can cut both ways and cause a little bit of chaos in the NOAA realm. Eident: Yeah, and I imagine the groups that rely on NOAA to do their business whether they be fishermen or other types of business people are really keeping an eye on these proposed changes. Goldstone: Absolutely. And the fishing industry here in New England has felt pretty positive about some of the actions the Trump Administration has taken. And, a new ocean policy actually that they also released last week about this idea of promoting the economy and kind of bringing fisheries back. So, we have yet to see what that will actually mean in terms of what was in this presentation. Eident: Well, Heather thanks so much for this explanation. And I'm sure you'll be looking at this in more detail. Goldstone: Absolutely. On Living Lab Radio we're going to be digging into some of these in the next few weeks. Starting--not this week-- but next week with a conversation with local researcher specifically about that tripling aquaculture goal and what that might mean. Eident: And you can tune into Living Lab Radio here on WCAI Monday mornings and 9 o'clock. Heather Goldstone, thanks so much.